*It's recommended to have taken Finale: Lead Sheets or have basic skills in Finale including note input before taking this class. Finale offers one of the best ways to notate your music and take control of your creativity. As professional musicians, our scores and parts need to clearly and readily communicate our musical vision. Do you struggle with editing your parts? Do you want to learn shortcuts to help you be faster with Finale? 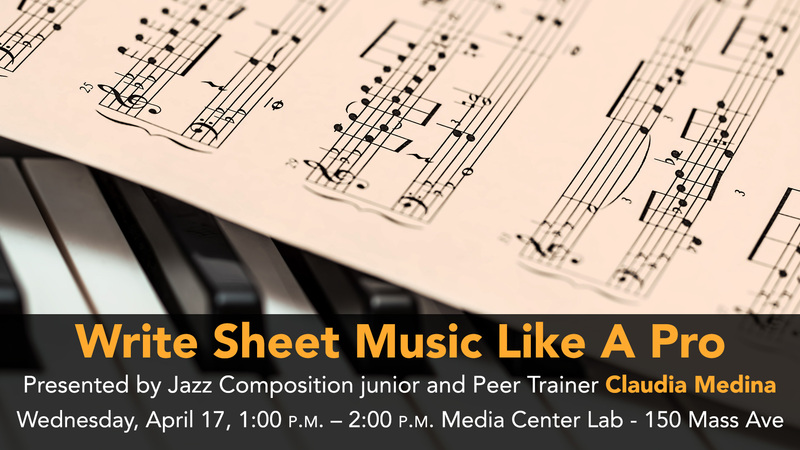 In this session, Claudia Medina, Jazz Composition Junior, and Peer Trainer will teach you the best ways to notate music quickly and prepare your parts for rehearsals and recordings. We will also discuss the requirements for your Score Proficiency. If you are Contemporary Writing & Production, Jazz Comp, Film Scoring or Composition student this session will show you how to make the best use of all the tools that Finale offers and become a Finale pro.